Yakima Valley wine country is flowing with independent and cultural dining experiences, intimate tasting rooms, and breathtaking views. It doesn’t disappoint in the lodging department. From sumptuous guest rooms where you’ll sleep like a queen to comfortable inns that fit your budget, welcome your family (and your pooch) to country Inns, B&B’s and authentic tee pees that offer a true rural experience. Here are the ten best places to stay for every type of wine country traveler. 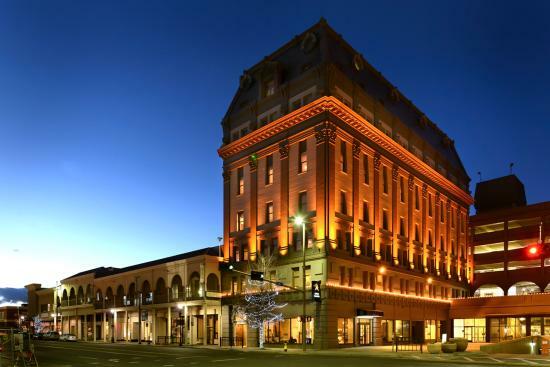 Constructed in 1911 as the Masonic Temple by the Yakima Freemasons, the Hotel Maison represents the history and character of Yakima. Located in downtown, Hotel Maison offers its guests friendly hospitality, comfortable guest rooms outfitted in casual Wine Country décor, and a convenient launch point for exploring the Valley’s wineries, breweries and restaurants. Our 36 room boutique hotel is the perfect destination for your Yakima Valley adventure. Ledgestone provides larger than average rooms, full kitchens (equipped with kitchenware), free laundry equipment and a courteous staff whose highest priority is your comfort. Ledgestone Hotels Were Created To Be More Like A Home Than A Hotel. You will sleep soundly in comfortable rooms with a luxury bed package featuring deluxe linens and a cozy synthetic down blanket. Our professional staff at the Ledgestone Hotel is ready to provide you with a wonderful Yakima hotel experience, including reasonable rates, distinctive amenities and an extraordinary attention to detail. The Oxford Suites Yakima was designed with your comfort and convenience in mind. With 108 non-smoking suites, an on-site restaurant and the Oxford Suites’ signature complimentary amenities, the Oxford Suites Yakima is well-equipped to serve you whether you’re traveling for business or pleasure. Throughout the hotel, you’ll find small touches that are reflective of the spirited Yakima community. Beyond our doors, relax to the sound of the flowing Yakima River and take in the sights of birds and deer along the riverbank. Our back patio, just off of our Bistro, offers a quiet retreat along the river’s edge. The natural, elegant touches throughout the hotel provide the perfect air of sophistication to complement your adventures. We’re sure you’ll find that from our lobby to our meeting spaces to our spacious suites, every space is welcoming, comfortable and functional. Whether you choose the Main House or the Cottage, expect your stay to be comfortable, warm, and elegant. If serenity and peace is what you are after, choose from our Main House rooms. If you enjoy a more casual, relaxed atmosphere, book a room in our Cottage. Room rates are comparable to standard hotel rooms in the area, but Birchfield offers a more unique experience. Wake up and enjoy breakfast in the dining room or in the privacy of your room. A full gourmet meal with, juice, coffee and more are included in the price of each room. Yakima, lodging with us means that you’ll have access to an array of amenities, including an indoor heated salt-water pool, whirlpool and fitness center. Delightful hillside orchard location, minutes from downtown Yakima and Washington Wine Country. The B&B entrance opens to a cozy living room. 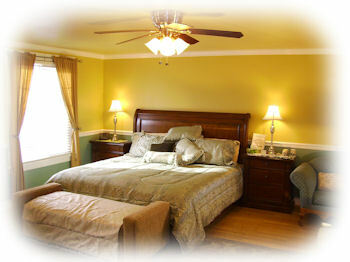 Spacious guest rooms have custom-made queen beds and private bathrooms. Relax in this musical home, and enjoy gourmet breakfasts in a casual European atmosphere. Celebrate your special occasion, or just treat yourself to the perfect getaway, for both leisure and business travelers. 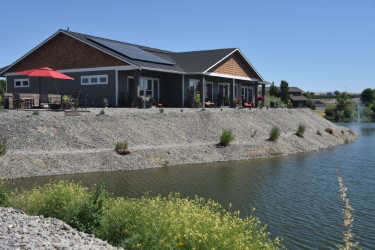 Zillah Lakes is a planned community of over 300 potential home sites and 70 acres of new commercial land in the heart of Washington Wine Country. At core, it is a residential community built around 20 acres of lakes, and surrounded by a 6-hole golf course. But new opportunities will result in it becoming the newest, closest gateway to wine country not only for homebuyers, but for tourists, vacationers, renters, businesses, hospitality, investors in one of the most desirable locations in Eastern Washington. Explore our pages to discover all the unique and persuasive lures of this unique wine country location. Better Yet: Physically explore this unique community and new facilities, amenities and businesses locating here by scheduling a visit with our Onsite Team. 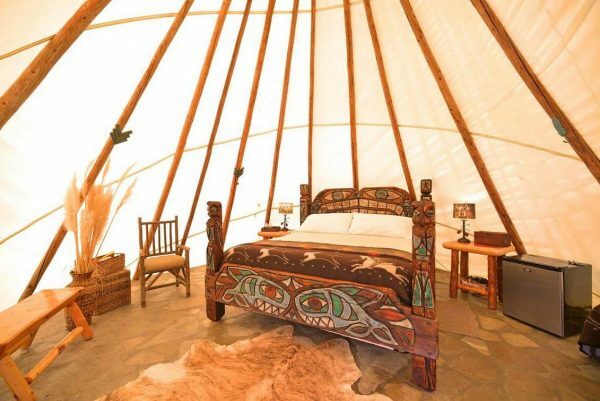 ​After a day of touring and tasting, enjoy an evening around the campfire before snuggling into one of our 22-foot teepees with cloud-like beds and fluffy down comforters. BBQ grills, compact refrigerators, separate super-clean and private water closets, along with an open-air shower round out the amenities. 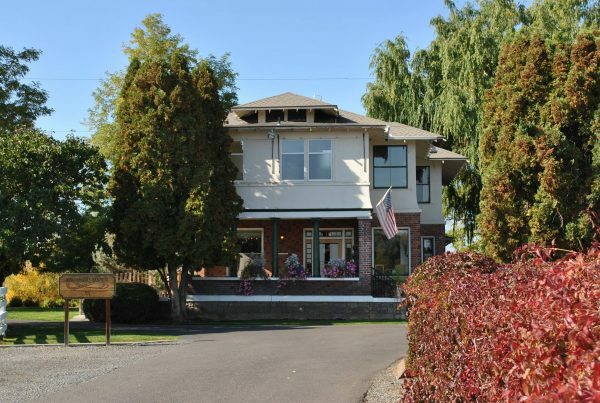 At the Cozy Rose Inn Bed and Breakfast, you’ll find warm sunshine and a country setting where you can take walks through the family vineyards and orchards, or just relax and renew yourselves in this park-like setting. Cozy Rose has been recommended 5-star by Trip Advisor guests, The Northwest’s Best Places to Kiss, Romantic America, and, most importantly, their guests! Washington wine country’s fun and sun. The historic 1919 Fordyce House has been welcoming travelers since 1989. Guest rooms are each unique and include flat screen TVs, individual climate control and private baths. 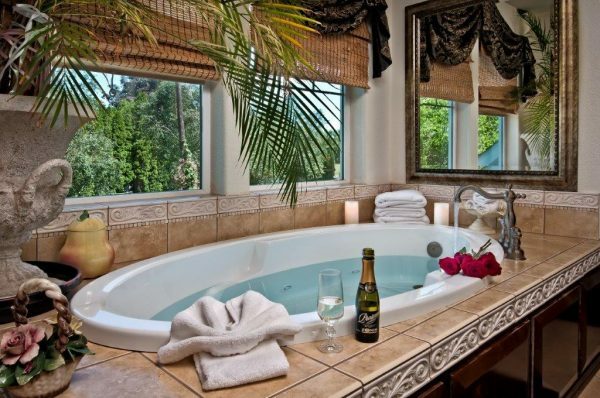 Spa tubs, private entrances, fireplaces, wet bars, kitchenettes and second beds are available. 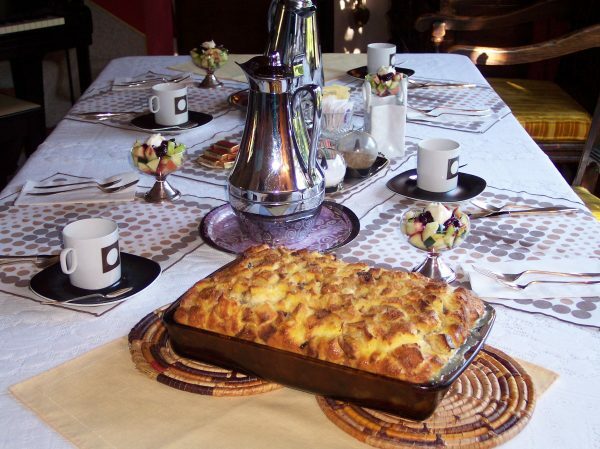 In the morning, have a full home cooked breakfast made from the bounty of the Yakima Valley. Leisure and business travelers alike call Sunnyside Inn their home away from home!